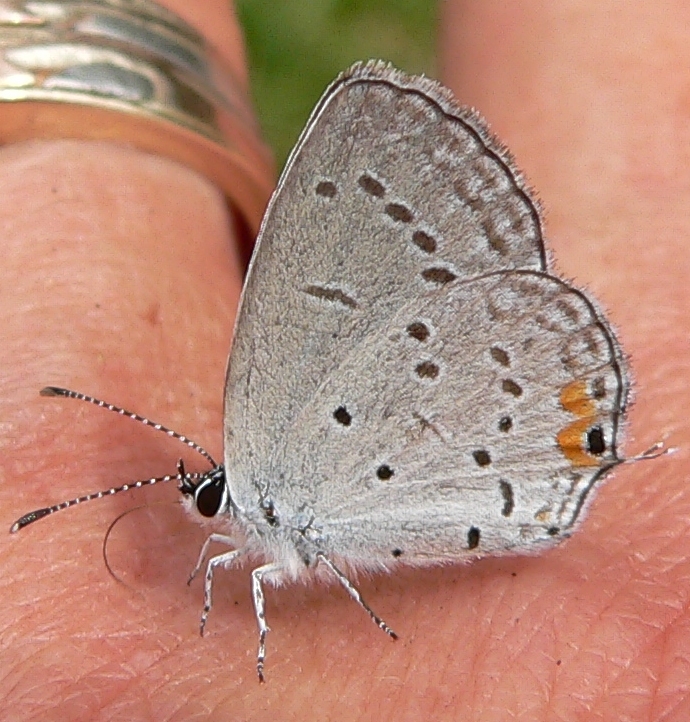 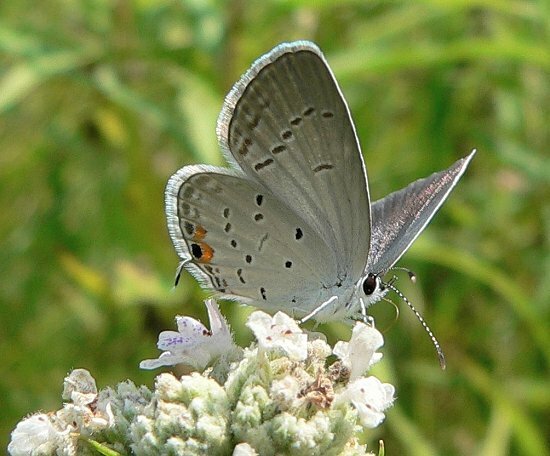 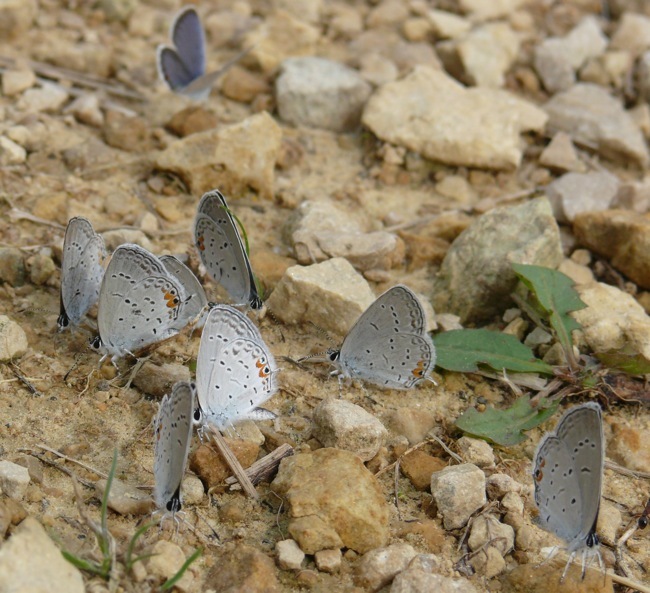 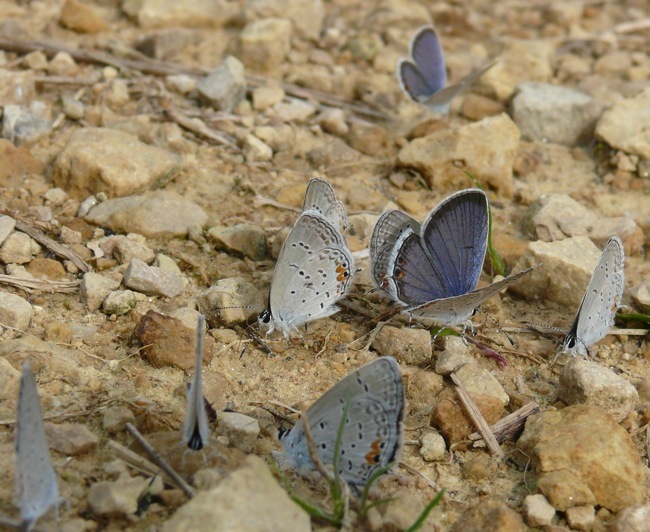 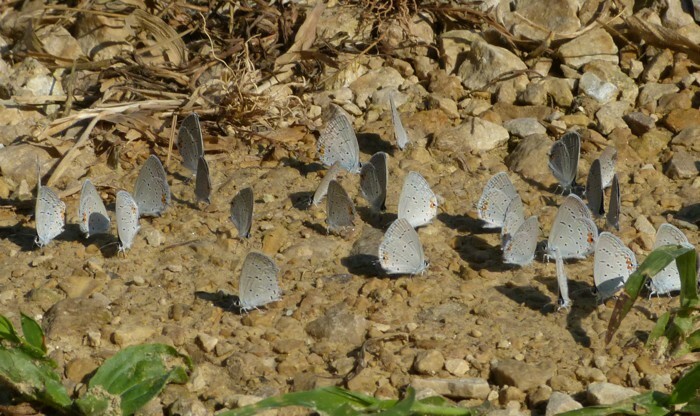 Eastern Tailed Blues are common butterflies at our farm in Wisconsin. 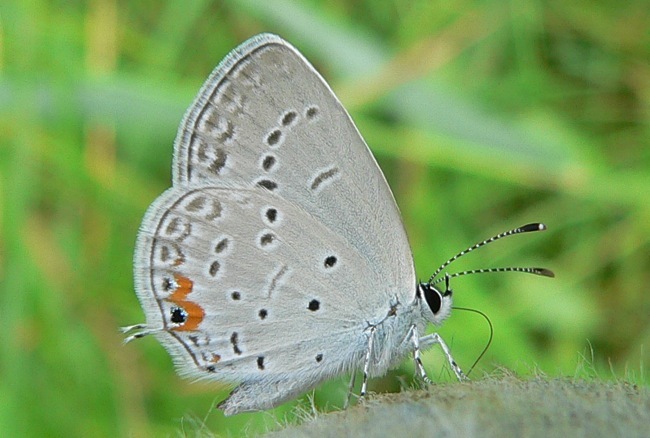 I see them throughout the warm moths – from May until September. 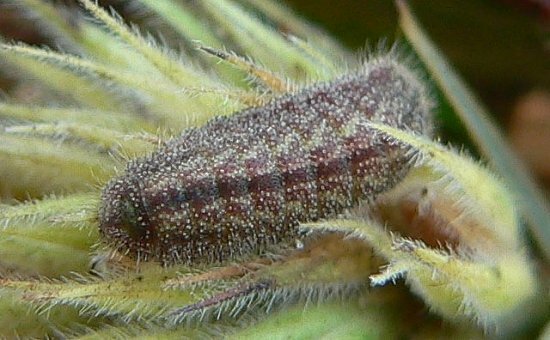 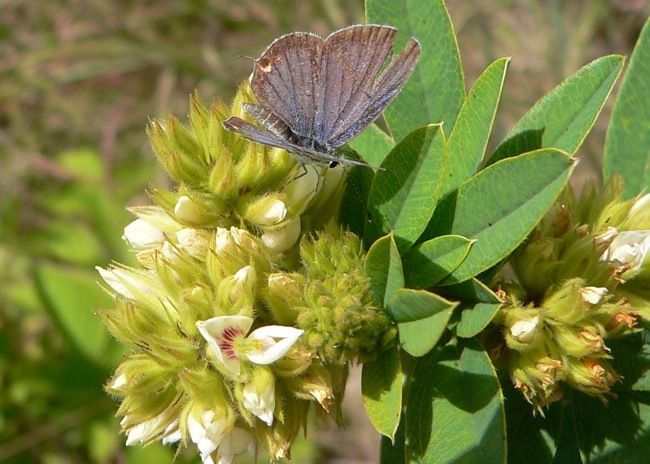 The females lay their eggs on plants in the Pea Family – I almost always find caterpillars when I check out the flowers of Round-headed Bush Clover (Lespedeza capitata). 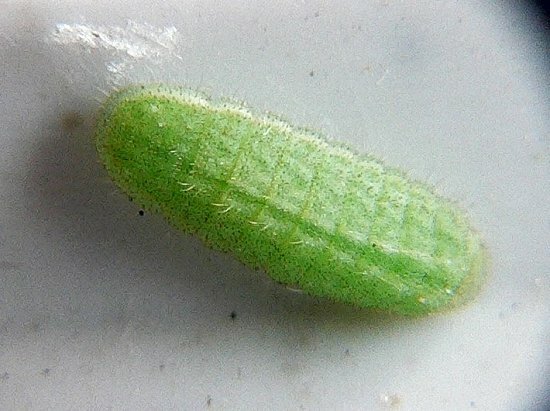 The caterpillars are flat and slow moving. 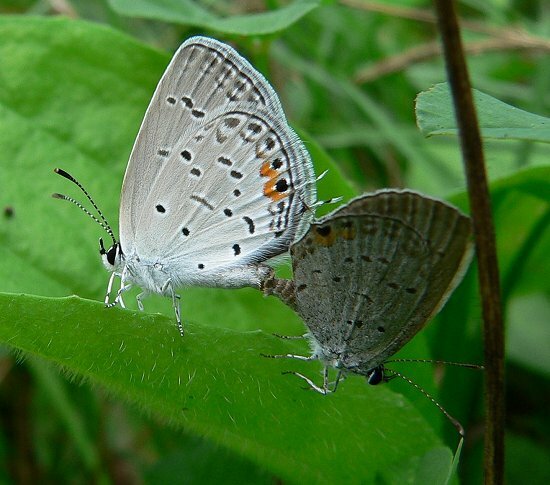 They seem to prefer to eat flowers rather than leaves. 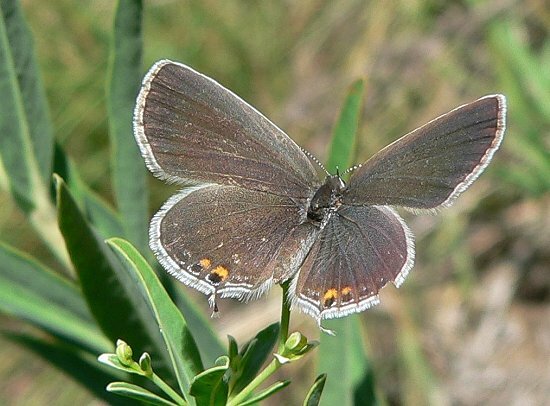 They vary in color – from brown to bright green. 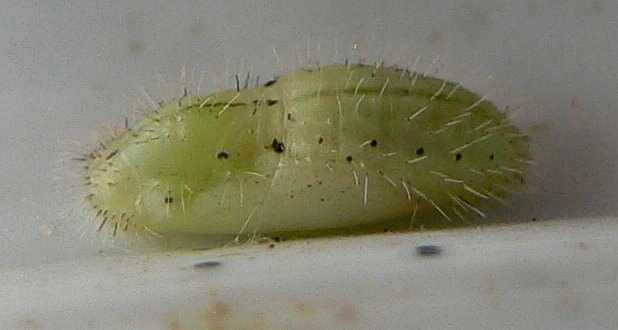 7/26/2007 This one is much greener. 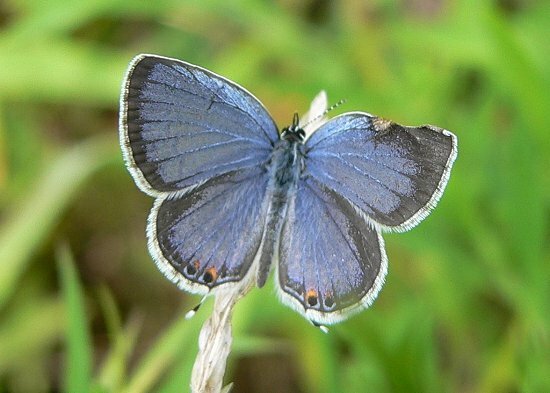 Adult females’ upper wings are gray and slightly iridescent. 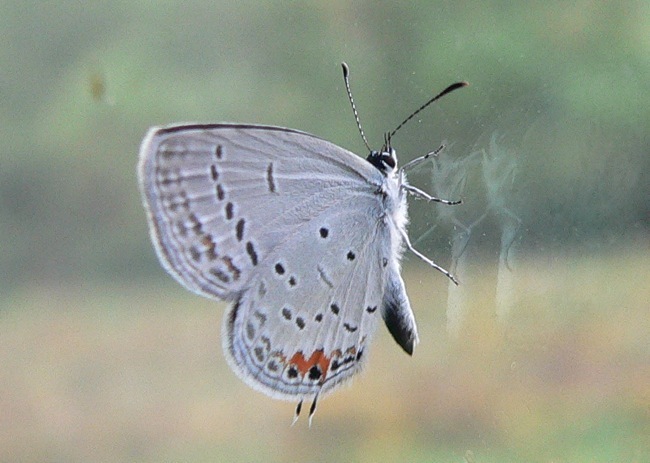 9/17/2006 I was drying a pile of Bush Clover seeds, and this butterfly hatched inside the house – its chrysalis must have been on one of the plants.